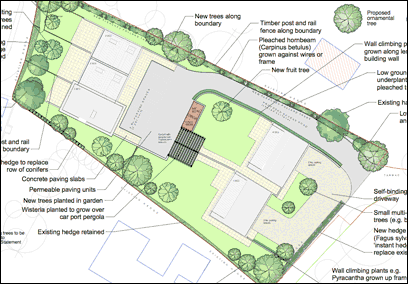 Planning Applications for residential projects, whether a single house or a large commercial development, often require landscape and visual impact assessments to be carried out to establish what effect the new proposal may have on the surrounding landscape. LandShape can assist you with the preparation of these either as a standalone document or as part of larger Design and Access Statement. We can assist you with developing your residential scheme from a greenfield site through to construction on site and we are experienced in working with a variety of local authorities to provide a satisfactory outcome.